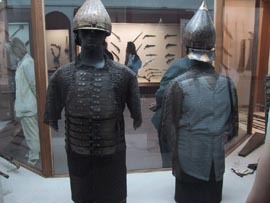 The chamber that holds the Arms and Armour Exhibition was once known as the Inner Treasury and contained the taxes and tributes from all over the empire. 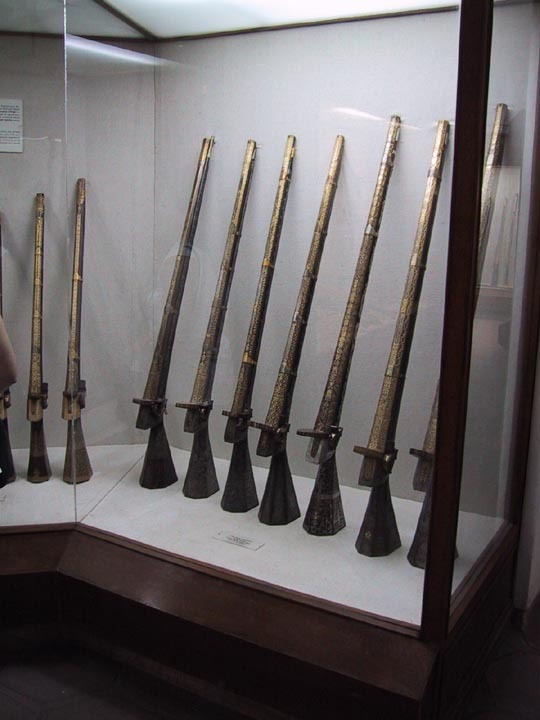 Some of the weaponry was made by the sultans themselves, being fine craftsmen in their own right. Body armour and helmets from the 1500s. 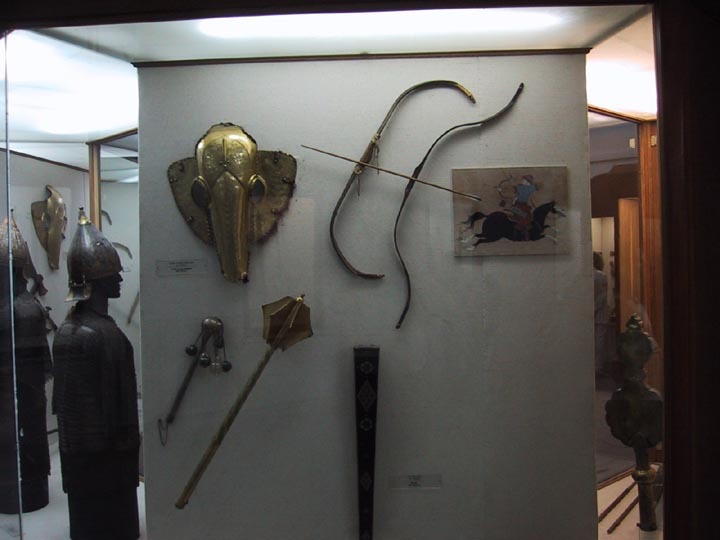 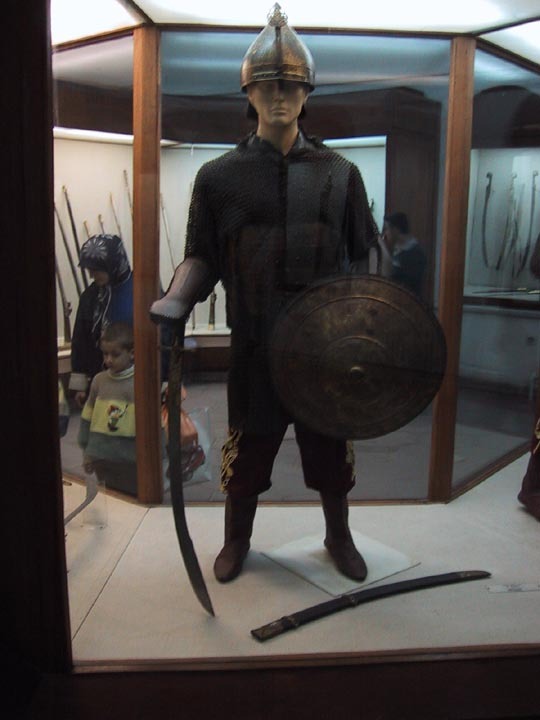 Horse armour, bows and maces. 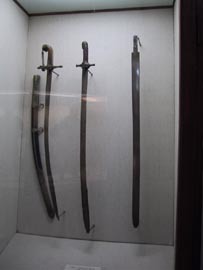 500 year old swords. 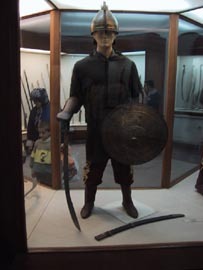 A completely outfitted solider of the 1600s. 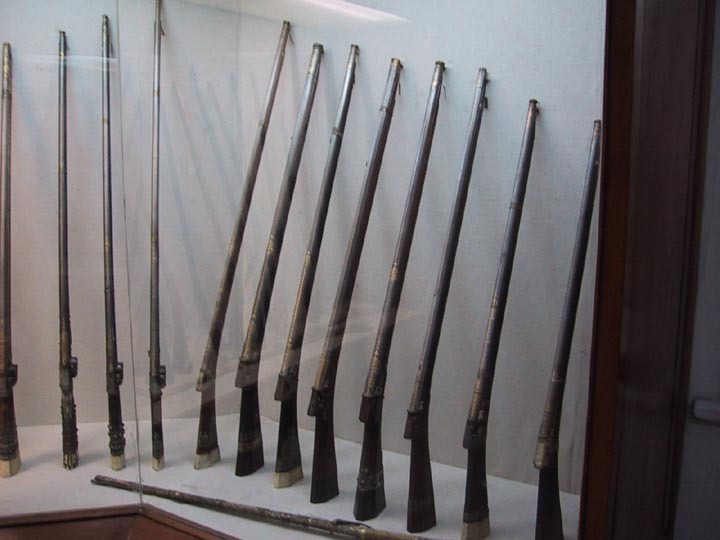 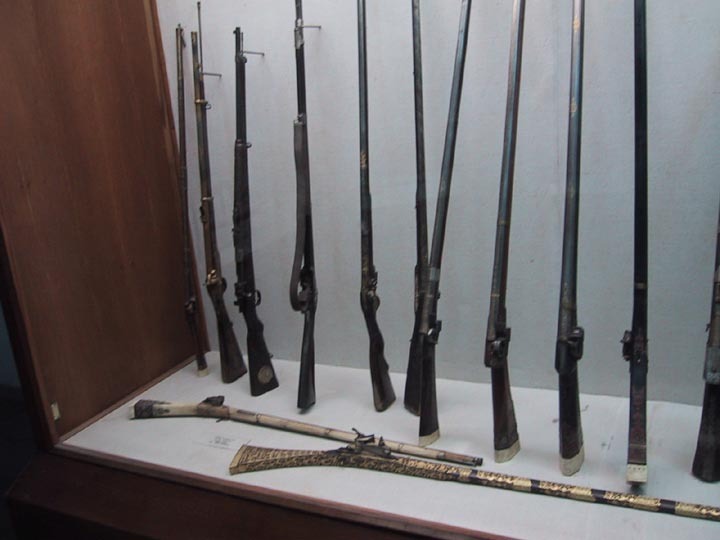 Matchlock rifles, the first firearms used extensively by the Ottoman empire. 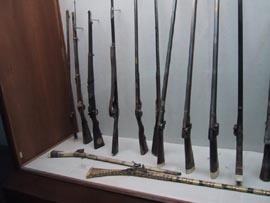 In the same case is the progression of weapons from matchlock to rifle. 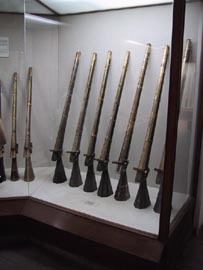 A different species of firearm altogether, these are called tower guns, they're really cannons, over .50 calibre, with huge long-range gun sites. 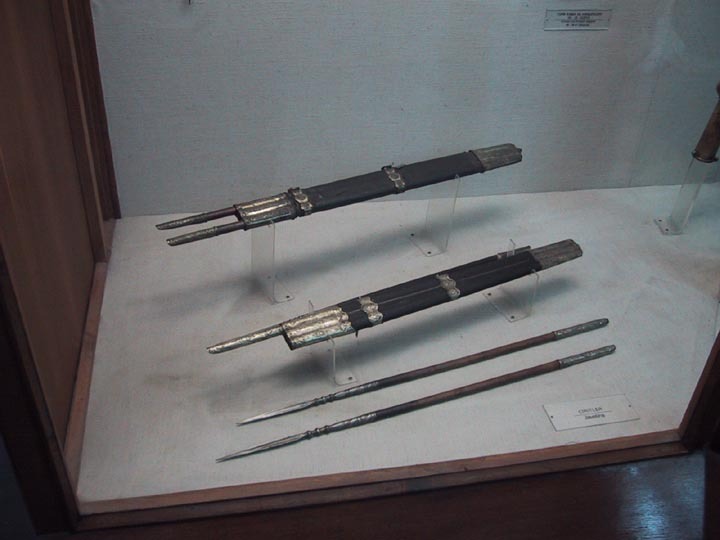 Javelins and three-javelin quivers. 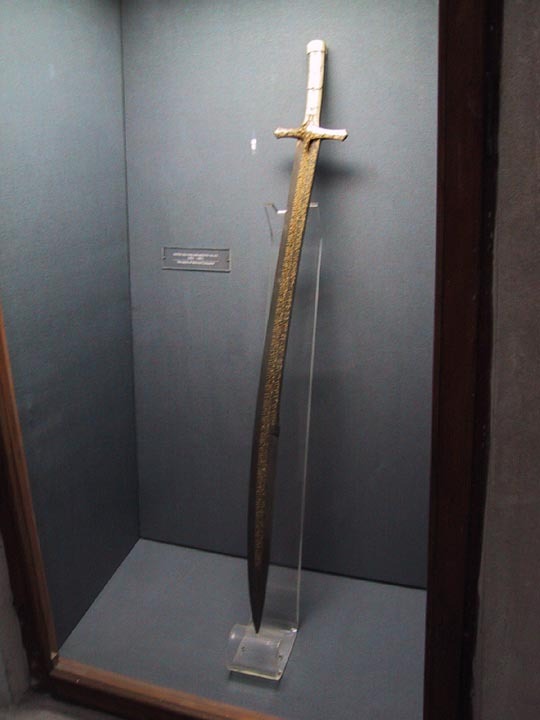 A sultan's weapon - a beautifully ornate sword. 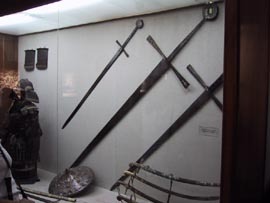 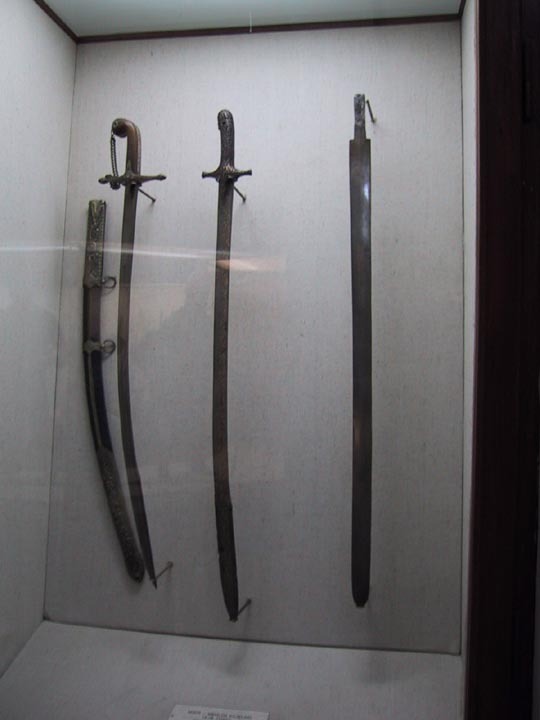 European swords from crusaders in the 1400s - massive and crude. 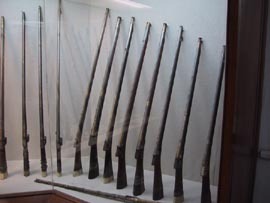 The display itself was in a single large room, with displays on the walls and in the center. 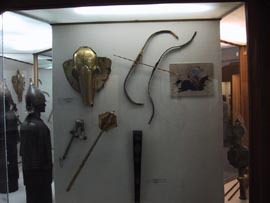 One walk all the way around was all it took to see everything.